With some entertaining matches taking place in Indian Wells, expectations are riding high on the second Masters 1000 tournament of the year, in Miami. With the exception of some big names like Rafael Nadal and Juan Martin del Potro, all the big names have arrived in Miami to fight for the trophy. The men's singles draw that was released on Monday has thrown up some interesting matches right from the start of the tournament. Let's look at the interesting first round line-ups on Thursday. David Ferrer will retire from professional tennis by the end of this year. 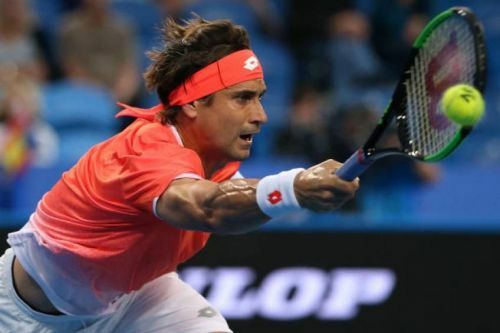 David Ferrer was last seen in Acapulco where he lost to Alexander Zverev in the fourth round. He has already announced his retirement from professional tennis by the end of 2019., meaning this will be his last appearance in Miami. He will face Sam Querrey in the 1st round. Coming to Querrey, the tall American has not been living up to the expectations in singles circuit but he reached the doubles semi-final at the Australian Open along with compatriot Ryan Harrison. It is going to be a contest of big serve vs deep return, as these two players have contrasting styles of play that cover all the aspects of modern tennis. Tomas Berdych has been struggling to find his lost form in recent times, but his pursuit to succeed continues in all the tournaments throughout the year. At the Australian Open, Berdych bowed out to Nadal in a match that lasted just over an hour and a half. On the other hand, Bernard Tomic is someone who cannot be predicted, just like his countryman Nick Kyrgios. The fans can only hope and pray that he brings his serious side to the court, and plays well. This contest is interesting in the sense that it is unpredictable as both of them have equally good groundstrokes. That said, Berdych has a slight advantage due to his experience. Just like all the other French players in men's tennis, Benoit Paire has a unique style of play. But his shaky temperament on the court often costs him matches. Feliciano Lopez is the exact opposite of Paire, as his grit on the court is always starkly evident. Even though he has not been able to make it big in any of the important tournaments or Majors, he has got the variety in his game to throw his opponents off-balance.